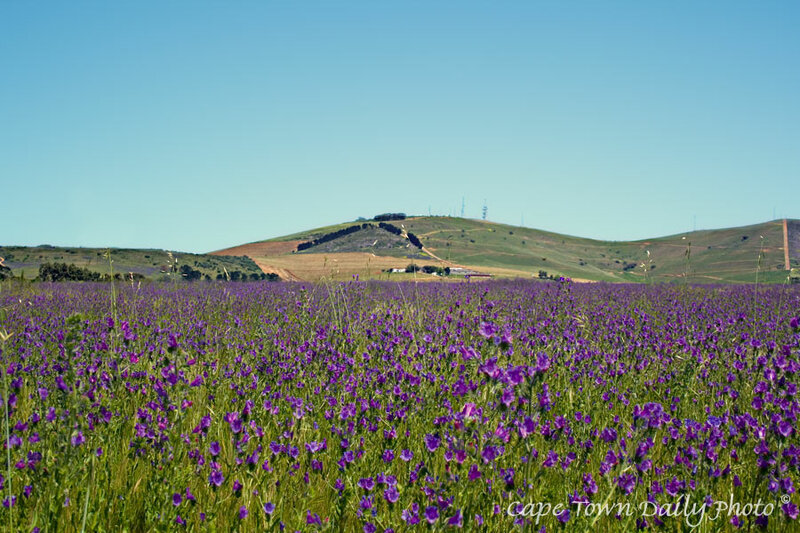 These purple flowers cover the fields and verges in and around Cape Town in springtime. We're not too sure what they actually are (anyone care to shed some light on this? ), although they're generally regarded as weeds when they appear in the garden. They certainly look beautiful when they grow in big clumps like this, though. Posted in General on Monday, 15 October, 2007 by Paul.